A stunning synthesis of hidden science and lost prophecies, The Source Field Investigations exposes many great secrets: DNA transformation, consciousness science, wormholes, stargate travel, sacred geometry, ancient conspiracies, multidimensional time, the Maya calendar, and a stunning new model of galactic energy fields triggering mental, biological, and spiritual evolution. More than two million people have seen David Wilcock’s incredible tour of the 2012 prophecies in his Internet documentary, The 2012 Enigma. Now, he expands his vision with a cutting-edge investigation into alternative sciences with deep insights into what is coming in our future. Unlike the apoca-lyptic viewpoints depicted in big-budget disaster films, Wilcock believes that 2012 will be a water-mark for widespread acceptance of a greater reality - and in his book, he lays out many of the blueprints for such a Golden Age. ©2011 David Wilcock (P)2011 Brilliance Audio, Inc. True story. Many years ago, I was standing in a Goodwill store, looking at a rack of used books. I thought to myself, "I wish I could find some kind of book that was just huge and life changing." Less than five minutes later, in my hand, I was holding a copy of, "The Field: The Quest for the Secret Force of the Universe," by Lynne McTaggart. Since then, the number of days The Field hasn't entered my mind at some point during a day is fairly small. Personally, I don't think it was just random chance that I asked for a monumental book...and practically had one jump off the shelf and into my hands only moments after asking for it. In my mind, "The Source Field Investigations" is the closest book that has approached "The Field" in stature, if not even surpassed it in some ways. I would describe "The Source Field Investigations" as "The Field" on steroids. Now, as sports icon after sports icon has fallen recently in doping scandals, lets be honest here that steroids aren't always a good thing. That said, the book really has two different story lines. One of course is The Field and the other is ancient prophecy. There are some other tangents here or there, but that's the two main story lines. David Wilcock does an admiral job in tying the two together, in my opinion. The story line of the Source Field, while sometimes laying on the pseudoscience fairly thickly, was excellent. The ancient prophecy was not without merit, but I found myself wishing that the book had been broken into two, or possibly three books. One just of The Field, one of just ancient prophecy, and perhaps one tying the two together. Is everything in this book true? No. Whereas, McTaggart, I think, struggled to stay as scientific as possible, Wilcock permitted himself a little more freedom. However, while the book is a report-type book, based mostly around other people's research, Wilcock excels at tying things together in an entertaining fashion. Lets be clear here, even when sailing past pseudoscience into pure fiction, David is an entertaining author. That there is some fiction involved in the book should not scare anyone off. There is real science in here, too, and it is amazing. 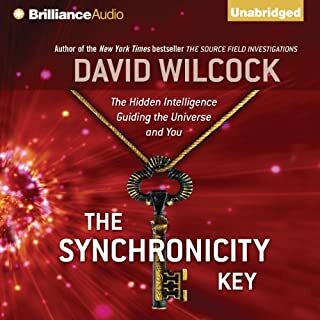 One area in which Wilcock surpassed McTaggart is the audiobook version of this book. McTaggart's "audiobook" is misleading and is not actually an audiobook at all, being closer to a lecture. Wilcock on the other hand, presented the audiobook in unabridged form and read it himself. I normally cringe a little when an author reads his own book, but Wilcock did an excellent job. Even with the audiobook being nineteen and a half hours, it flowed very well from beginning to end. 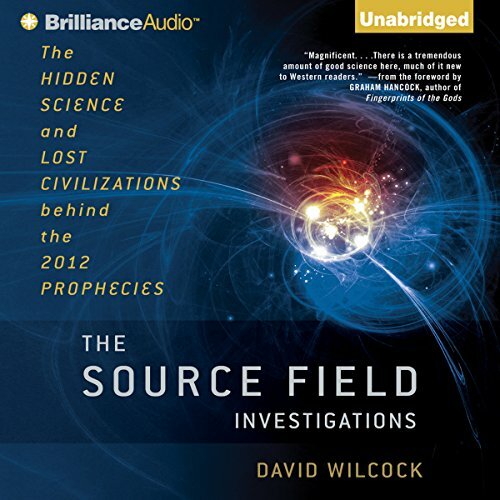 Here is my biggest complaint of "The Source Field Investigations," which has to do with the subtitle, "The Hidden Science and Lost Civilizations Behind the 2012 Prophecies." In my opinion, the book should have had a different title and been a couple of chapters shorter than what it was. I had seen this book for quite some time before I purchased it, because the title is so off-putting. The book ends incredibly weak, as David spends a lot of time talking about things that will happen in or around the year 2012. I realize that he probably didn't think there was going to be a dramatic change almost instantly in 2012, but listening to the book in 2013, it makes David sound kind of foolish; almost like a TV preacher predicting the apocalypse for the fourteenth time in just as many of years. If you have been eyeing this book, but not getting it because of the 2012 prophecy angle, do not let the title stop you. It is still a good book. No, it's an excellent book. You just have to take a few things with a grain of salt here or there. If you haven't read McTaggart's "The Field," get a copy of it, too. I am only a few hours into this unabridged book but am finding it fascinating so far and wanted to share my enthusiasm. 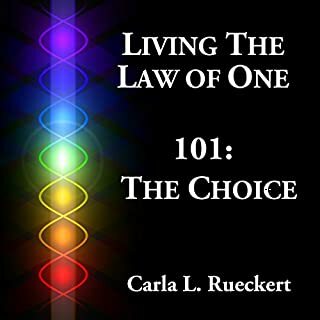 The author presents a great deal of well thought out information on a wide range of topics relating to the "source field", which might otherwise be referred to as cosmic consciousness. This includes info on 2012 prophecy, alt science, scientific data, astronomy, astrology, ancient history, mythology, telepathy, dreams, consciousness, ascension, the nature of time and I would expect a great deal more in the next several hours of the recording. Numerous references are sited as well making further investigation into topics of interest quite easy. As for the comments about the author's reading style, I thought he did a great job. I enjoy hearing an author read his own work, especially with this kind of material. Narrators are great for fiction but I think its nice to hear someone who has a thorough understanding of the material read. To me, Wilcock has a fine voice and an upbeat but in no way annoying inflection. He is obviously not just reading but explaining, slowing down or stressing content where appropriate. Would you listen to The Source Field Investigations again? Why? 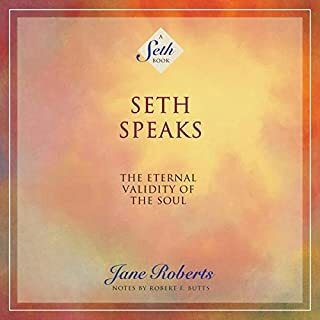 I have listen to The Source Field 2 times now and will begin #3- it is the most comprehensive description of the Spiritual/Consciousness evolution of this home planet, Earth, as well as the entire Cosmos I have found. it is extraordinary!. 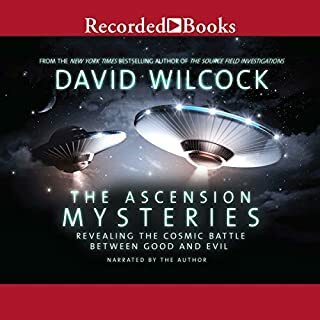 David Wilcock weaves all of the research pieces together as well as ties in ancient predictions and present day direction into a comprehensive map that points to a renewed human family and flourishing and alive Earth. Which character – as performed by David Wilcock – was your favorite? I can't say that I had a favorite character. The conclusion moved me so much that it has been listened to repeatedly. At a time of tremendous upheaval there is HOPE. This is a book about a future that is being written through out the Cosmos and unfolding now, and it is also a gift of Love for this planet and all of life throughout the Universe. I would say this is a very indept audio book but I believe I will also have to buy the hardback. It is good enough for me to pay for it again. You can tell David believes what he is talking about. Yes it is a 19 hour title and I have already went through part 2 again and will go through the whole book once again to catch any information I may have not focused on. My hat is off. Would you consider the audio edition of The Source Field Investigations to be better than the print version? I have no idea if the audio version is better than the print version. I know I would never have gotten through the book as quickly as I did the audio, but that's just because I'm a multi-tasker. How far down the rabbit-hole would you like to go? There really is a compelling amount of information here. With that comes dozens of references, to which I will probably spend the next 5 years of my life following up with. If even 10% of what is said in this is true, we as a human race need to get our sh*t together. Truly excellent scientific truth. open your mind. Truly amazing book, amazing science but it was the scientific reference that really allowed me to expand my thinking and understand this as truth. This book is certainly the best way to start your journey into spiritual and scientific awakening. As an atheist previously before this teaching I can honestly say this book has changed life for me in the best possible way. Buy. This. Book. Just the fact you found it means you need answers, and believe me this book had those answers and then some. What did you like best about The Source Field Investigations? What did you like least? Best thing about the book: I like the vast collection of stories and studies on this topic. The Author clearly did exhaustive research and I appreciate his efforts to present the disparate datum in a complete collection. Worst thing about the book: I have been studying esoteric teachings for a while, not "Advanced" but by no means a Novice. I found the Author's repetition of information and refusal to move beyond his need to convince the Reader that the Source Field exists to be draining on my attention. The anecdote about the inventor of the Polygraph test and his subsequent studies into "plant consciousness" were really eye-opening. Throughout the story, there are "Ah ha!" moments that pop up and make me glad I have stayed with it. What didn’t you like about David Wilcock’s performance? First let me state that I was glad David was narrating his own book. I watch him on Gaia TV and he has an affable personal style that I really enjoy. But I am disappointed with his reading of the work. David reads like he is giving a presentation to a group of children; dramatic in a theatrical way that comes across as pandering and cloying. If you read this David: PLEASE read like you are having a conversation with intelligent adults and it will be great! Was The Source Field Investigations worth the listening time? I am on Chapter 7 of 20 and already looking for my next book, soo....I have to say "No". 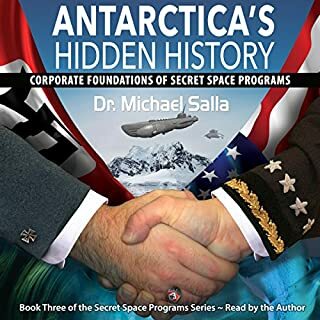 I will continue to listen because the information is strong, but due to the repetition of certain anecdotes and all the time the Author spends "convincing" people of why it's ignorant to deny the field, the book is longer than it should be. This book perfectly illustrates why it's important to weave a narrative thread around research and not just present studies with your personal opinion splashed about. It's hard to feel like I'm going anywhere with this book. Rather, it's a collection of tid-bits that I will mostly forget. I think David would benefit greatly from a strong co-author and a narration coach. I hope he goes this route because the subject matter he writes about could not be more interesting! You can't afford to miss this book! The author has done an incredible job of describing the importance of The Mayan Calendar, it's secrets, and how this information supports the myriad number of findings and discoveries that have pointed to the importance and interrelatedness of: Time-Space/Space-Time; the FACT that there are multiple dimensions and realities (not just what we think of in our day to day lives - he actually shows evidence that, in dreams, we TRAVEL to these other dimensions! 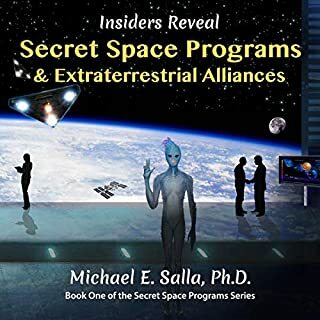 ); re-incarnation; extraterrestrials and their impact on human social and scientific development, and how this all plays into the end of this very year, 2012! An interesting perspective on defined science. Very well worth the time to listen to, expand your mind.